The system, for which a patent application was made, rises interest with its lighter structure than the system counterparts and has a reduced the possibility of stiction. 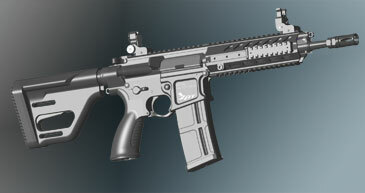 The 7.62 X 51 mm gatling system, which weighs about 30 kg, will have a weight of less than 17 kg in the proposed design. 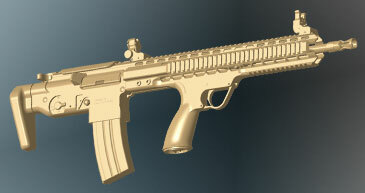 The system can fire a maximum of 15 seconds at a time and can throw a thousand rounds during this time. 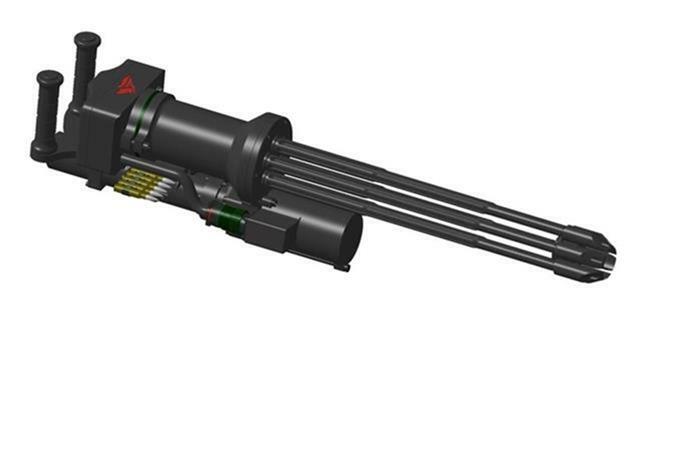 With this feature, Gatling will be able to shoot about 4,000 rounds per minute. 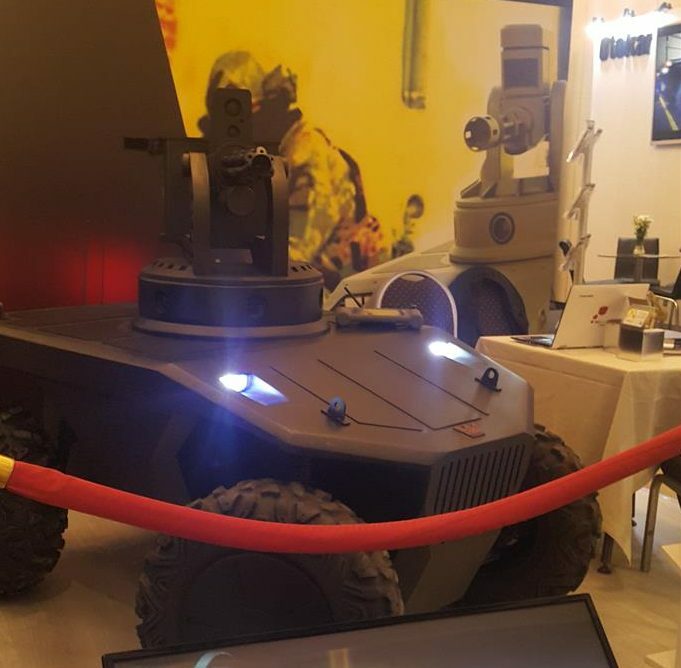 The Gatling system exhibited for the competition was placed on Alpera Defence Systems’ Alkar R4 unmanned land vehicle system. 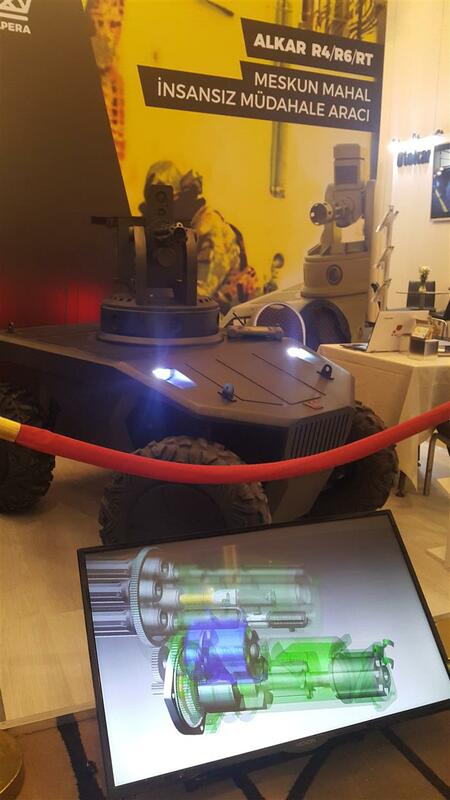 Six-wheeled and tracked versions of R4s are being desinged. Alkar R4 is powered in four wheels with electric motor, diesel generator charging electric motor. 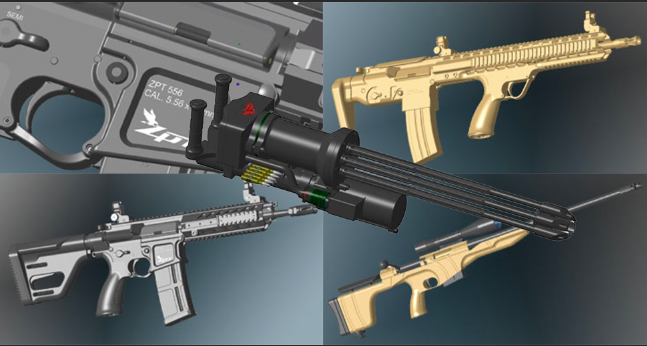 In addition to the Dillion M134 Minigun copy, Satek Arge has a number of concept small arms on the companies product page. At this time we don’t know if any of these have even reached a working prototype form, definitely not production yet. 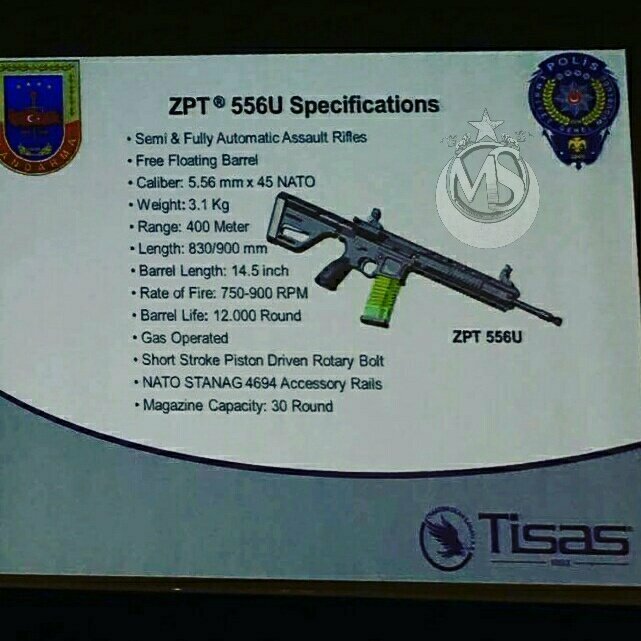 It would also appear that the company’s particular AR “derived designs” might be originating from a solicitation or competition that hasn’t been made public as UTS just announced two AR platforms (of their own) that appear to be competing for a Military/LE contract (14-inch barrels, MP5 magazine, possibly select-fire). One is a 9x19mm model that takes MP5 magazines, the other is a short barreled 14-inch carbine that is chambered in 5.56x45mm and takes STANGs. 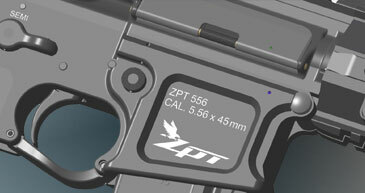 In both of these designs, also notice the enlarged trigger guard. This might be responding to a need by the Turkish government for weapons to work in the winter with thick gloves. 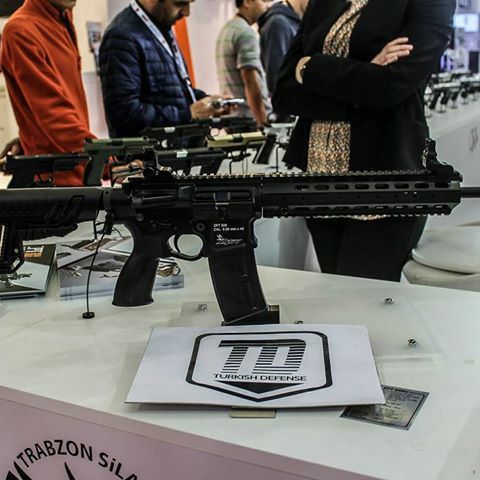 This would be beneficial in the operations that many Turkish LE and Military units are finding themselves deployed to (against the Kurdish PKK) in the eastern part of the country. 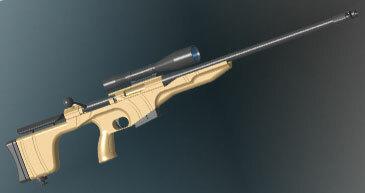 The Bullpup design as depicted in the concept model on the product page looks like a designer got far too carried away with moving parts around on an AR15 CAD drawing. 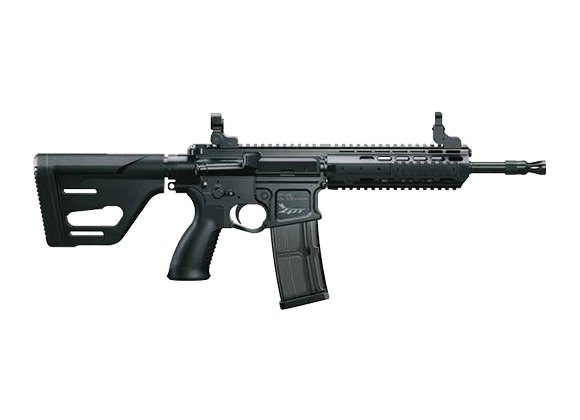 Innovative sure, but without getting into the details, it is difficult to analyze the rifle from an observers perspective. Then we have this manually repeating rifle.